B. It is better to have a GUI client. It comes along with the installation. We just need to enable it. To enable the plugin follow the steps given below. Restart rabbitmq-server for the changes to take affect. C. Lets jump on creating Android app. 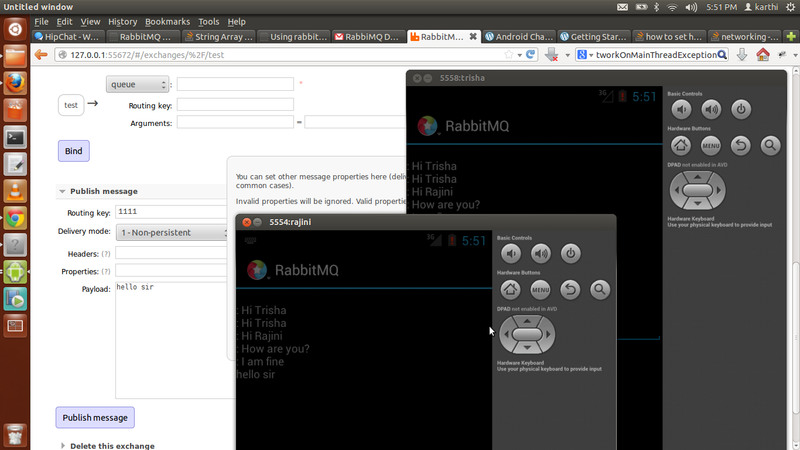 We can also send message from server to client using the app.